MEXICO CITY (Reuters) – Mexico’s government on Monday said it would work to strengthen the North American economy after the United States published its objectives for the renegotiation of the NAFTA trade deal, which one Mexican official described as “not as bad” as feared. 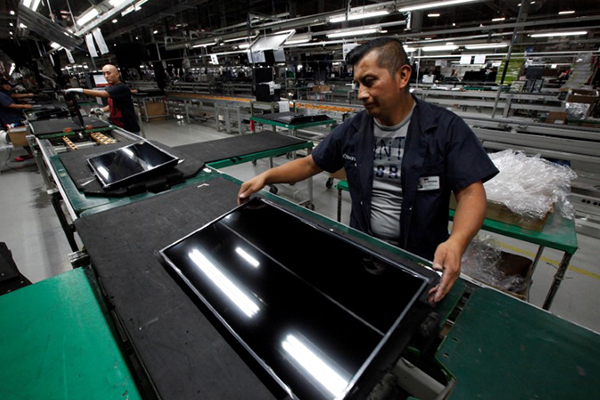 In a statement, the Mexican economy ministry said it expected talks between the United States, Mexico and Canada on renegotiating the North American Free Trade Agreement (NAFTA) to be able to get under way from Aug. 16. For now, Mexico would continue with domestic consultations on the revamp of the accord until early August, it added. In a highly anticipated document sent to lawmakers, U.S. Trade Representative Robert Lighthizer said he would seek to reduce the trade imbalance by improving access for U.S. goods exported to Canada and Mexico under the three-nation pact. Speaking under condition of anonymity, a senior Mexican official said the list of priorities was “not as bad as I was expecting” and welcomed that the United States was not pushing to impose punitive tariffs, as Trump has threatened. The official also noted the U.S. wish to ditch the Chapter 19 dispute settlement mechanism that has hindered the United States from pursuing anti-dumping and anti-subsidy cases against Mexican and Canadian firms would be resisted firmly by Canada. “Canada will fight to (the) death on Chapter 19,” the official said.